Spark & Shine Records holds a showcase of three bands on its label this Saturday, July 30th at the Tractor. 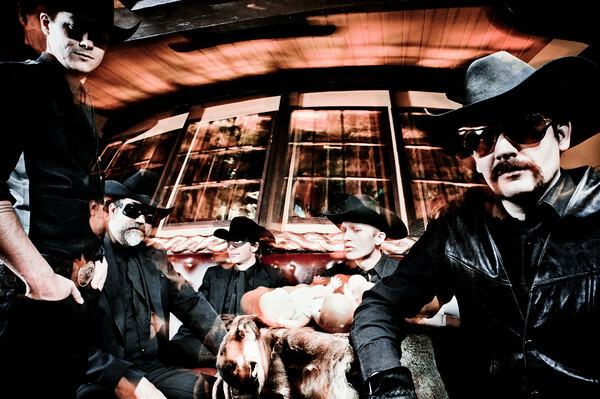 Brent Amaker and the Rodeo, a band I have seen several times and love so much I would probably jump off a bridge for if they asked me, headline. They’ll also have the beautiful and talented Bunny Monroe with them. 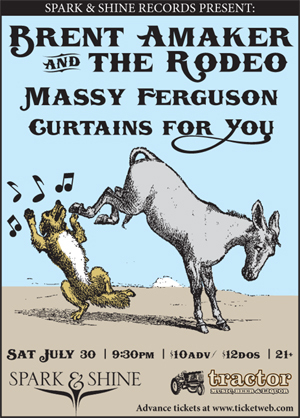 Massy Ferguson (whom I am eager to see for the first time) and Curtains For You (caught them at the West Seattle Summer Fest – an instantly appealing band) open. Get your tix now by following this link (show will sell out). $10 advance; $12 day of show. Listen to a couple more Rodeo songs here, Curtains For You have a few songs here, and Massy Ferguson offer up songs here as well. Written by: Dagmar on 07/25/2011. This entry was tagged brent amaker and the rodeo, curtains for you, Massy Ferguson, mp3, MP3s, posted by dagmar, PSMOOV, spark and shine records. Bookmark the permalink.